Not only were the flowers lovely, but the whole thing was really easy to order! Impressed! I sent these for my grandmother's service. She loved the beach. Loved the end result! These brought a smile to the family. Very cheerful flowers. and a great value! So easy to order! The flowers arrived so fast! I would recommend this service to anyone, I'm happy with how the flowers turned out. I wish I could give it higher than 5 stars. They were able to answer my questions and deliver the flowers so quickly! Happy with how these turned out! We went with the standard size, it was a cute floral arrangement. Happy with our final product! So was the family! I sent these across to my family in California. I was told they arrived and were a lovely arrangement. I'm very impressed with how quickly they can deliver! These were so nice! Loved 'em! Shipped perfectly with no problems! My mother-in-law really liked them! thanks! Overall it was a very easy process. Im glad they could ship it so fast! Easy! 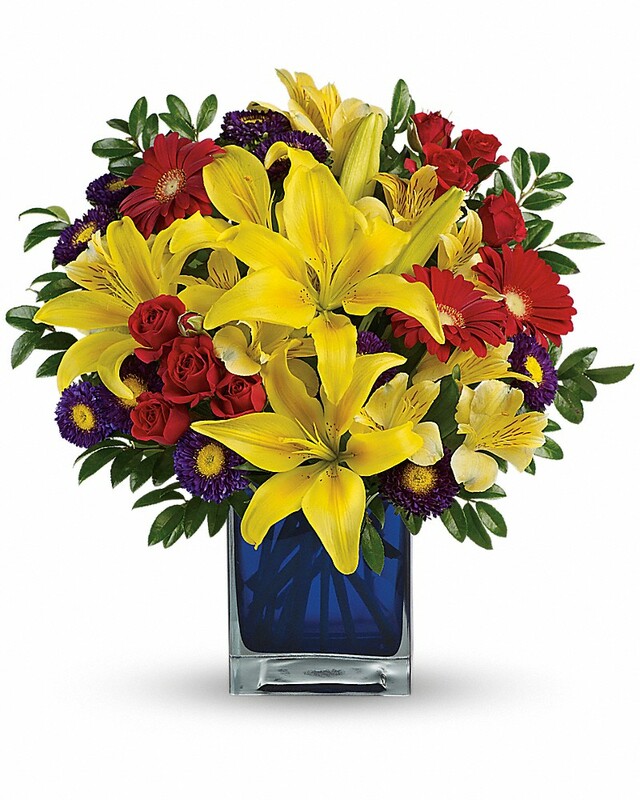 These were able to be delivered on time and the flowers came freshly put together!